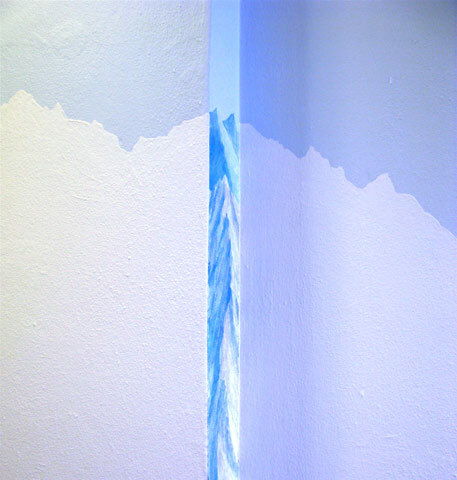 Winter is an artistic decoration in a 60 m long corridor at the Kfuk residence hall in Copenhagen. The winters ambiguity between introversion and longing away is the starting point for the murals. The artists attempt to expand the narrow corridor both visually and mentally. To visit the murals at the kfuk-residence-hall please contact Anne Skole Overgaard.